Tax relief services are designed to help taxpayers who have fallen behind on their tax payments or are already facing aggressive collection actions by the IRS or state tax agency. If you owe money to the IRS or State, US Tax Shield can help you turn your situation around whether personal or business. It is important to understand that not all tax relief companies offer the type of assistance you truly need. Today, there are many questionable organizations that claim to offer “tax relief,” promising to eliminate 100% of your tax debt with the virtual click of a button (for a sizable fee, of course). But in reality, these companies are just out for your money and are not truly interested in helping you resolve your tax problem. While it is certainly possible to settle your tax debt for less than the original amount owed, you should be wary of any company that makes a specific claim and that does not use experienced tax professionals to represent you during the tax settlement process. Only qualified tax professionals from a reputable tax relief company are authorized to enter into negotiations with the IRS on your behalf. Without the expertise of such a professional, you may never be able to properly address your tax debt and get the favorable tax settlement you need. Let’s look at some of the ways that professional tax relief services from US Tax Shield can help you get back on your feet and moving in the right direction, and even help keep you there for years to come. If you are unable to pay your tax debt in full, you may qualify to have your debt settled for less than the full amount owed. If you are unable to pay your tax debt in full, you may qualify to have your debt settled for less than the full amount owed. The tax relief experts at US Tax Shield perform this type of negotiation often. We would submit an Offer in Compromise to the IRS, showing that you have exhausted all other payment options or that your tax liability is incorrect. An Offer in Compromise is the most effective way to resolve and reduce your tax liability. From the moment you miss your first tax deadline, you’ll likely start incurring penalties and interest from the IRS. From the moment you miss your first tax deadline, you’ll likely start incurring penalties and interest from the IRS. So, if your back taxes have gone unpaid for years, then you’ve likely amassed a much larger tax debt already. And the longer you wait to pay it off, the larger that debt will become. Solution: Penalty abatement. An experienced tax professional may be able to reduce your penalties, potentially reducing your total debt considerably. Your attorney will take the necessary steps to prove that you meet at least one of the three requirements to qualify for abatement: reasonable cause, administrative waivers, or a mistake by the IRS. Not filing required tax returns can be construed by the IRS as tax evasion, considered a criminal act. Not filing required tax returns can be construed by the IRS as tax evasion, considered a criminal act. This is a very serious matter, punishable by a fine of $10,000 and one year in jail for each year not filed. However, the IRS would much rather get taxpayers back into the system than prosecute the average person who makes a mistake. Regardless of why you have unfiled tax returns, the first step to resolving your tax problem – before the IRS will consider any payment plan or tax settlement offer – is to become compliant by filing all your delinquent tax returns. 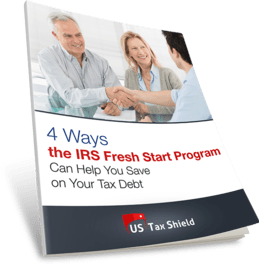 Although this may seem like an overwhelming task, as a leader in tax relief services, US Tax Shield can help you take control of your tax problems and resolve them once and for all, so you can move forward with your life. Our highly skilled tax professionals and attorneys specialize in all the tax relief cases listed above, including IRS appeals, offers in compromise, penalty abatement, innocent spouse, wage garnishment releases and many more. If you have received threatening collection notices, or are already facing action by the IRS, contact US Tax Shield today. We will listen to your problem and determine the best solution for your situation. Our priority is to get the IRS off your back, safeguard your assets, and save you money. If you owe the IRS and have ignored repeated letters and warnings, the IRS will likely use one of their most aggressive tax collection methods – wage levy, also known as wage garnishment to collect the amount you owe. If you owe the IRS and have ignored repeated letters and warnings, the IRS will likely use one of their most aggressive tax collection methods – wage levy, also known as wage garnishment to collect the amount you owe. This is a legal way for the IRS to collect from you without you paying them directly. Your employer will be contacted and by law, must take a portion of your pay and send it to the IRS. Wage garnishment is not to be taken lightly. US Tax Shield can help, stop the garnishments, and negotiate a favorable tax settlement with the IRS. A federal tax lien and account levies are additional aggressive actions the IRS will take to penalize you and collect the money you owe without you paying the IRS directly. A federal tax lien and account levies are additional aggressive actions the IRS will take to penalize you and collect the money you owe without you paying the IRS directly. The tax lien will appear on your credit report, making it nearly impossible for you to obtain a loan for any purpose. Account levies will enable the IRS to take money directly from your financial accounts, including checking, savings or retirement accounts. Solution: Lien/Levy Release. With professional representation, you may be able to release the federal tax lien or other levies. Depending on your situation, your tax professional will work to reverse these IRS actions so that you can address your tax debt problems. The IRS is particularly aggressive when it comes to collecting on delinquent payroll taxes (IRS forms 940 and 941) from business owners. The IRS is particularly aggressive when it comes to collecting on delinquent payroll taxes (IRS forms 940 and 941) from business owners. Failure to properly pay the IRS for taxes withheld from employees’ wages is considered stealing from the employees and the US Treasury. If you have failed to withhold or pay payroll taxes, you can incur huge IRS penalties as well as face potential civil or criminal sanctions. Luckily, tax professionals at US Tax Shield have extensive experience dealing with unpaid payroll taxes, and we will negotiate on your behalf with the IRS, ensuring that your business, personal assets, wages and bank accounts remain intact. Majority of audits are just a letter asking for more information about your tax returns, and you’re asked to mail back forms proving your income or deductions. In other cases you may get an invitation to meet with an agent to discuss your tax documents. Ignoring the IRS is the worst possible thing you can do. The situation won’t go away. It is very important that you as a taxpayer know about your right for a representation and right to appeal your disagreements with the IRS Office of Appeals and before the tax courts. Having a tax team who is fully versed on your particular case may prove to save you thousands of dollars in back taxes. Fortunately, our tax attorneys have successfully represented our clients and their interests in connection with a tax audit. Couples filing joint returns are held equally responsible for the tax return and the payment of appropriate taxes. Couples filing joint returns are held equally responsible for the tax return and the payment of appropriate taxes. In some cases, however, a spouse can be relieved of all IRS tax, interest, and penalties on a joint return. In essence, three types of innocent spouse relief are potentially available for people who believe the tax debt is not their responsibility: innocent spouse relief, separation of liability, and equitable relief. Each has different requirements. When you have a tax liability in the seven figures, your account is assigned to a special unit called the ‘High Dollar Unit’. This division of the IRS is dedicated towards the collection of higher profile taxpayers and they have the means to seize your assets to pay off the liability. 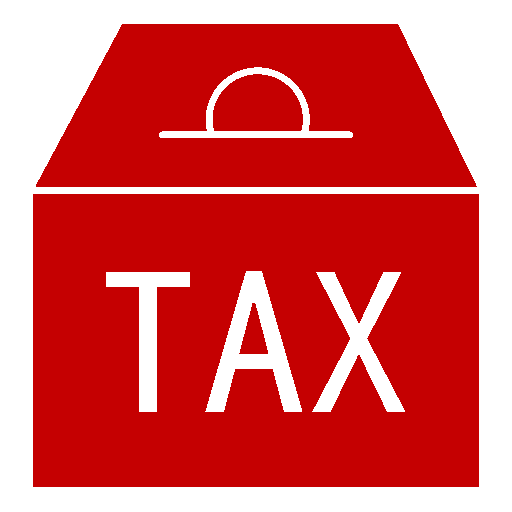 If you own a business or are an individual filer whose tax debt has spun out of control and owe in the millions, it is critical you seek representation from a reputable tax resolution firm as soon as possible. Our Tax Attorneys are well equipped to negotiate on your behalf and protect your assets from IRS or State collections and seizure. We’ve helped protect thousands of taxpayers and businesses and have negotiated over $450 million in tax debt. Individual states are often even more forceful than the IRS in their collection efforts, and they typically act more quickly too. State tax problems are separate from IRS obligations and will need to be addressed on their own.. US Tax Shield regularly represents taxpayers with disputes and with our comprehensive list of state tax services you can rest assured, we’ve got you covered. These tax relief services are only a few of the many solutions offered by US Tax Shield. Our skilled tax relief professionals have helped provide much-needed and much-deserved tax relief to thousands of satisfied clients, including individuals, sole proprietors, and corporations.